The rent at The Windsor at Fair Lakes Apartments ranges from $1,540 for a one bedroom to a $2,105 three bedroom. Apartments in this building are about 10% less expensive than the Fair Oaks average. This is a pet-friendly apartment. This apartment is in Fair Oaks. Nearby parks include Rocky Run Park, West Ox Road Park and Greenbriar Park. 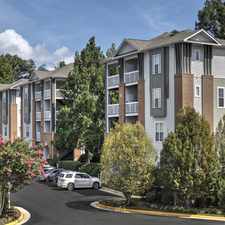 The Windsor at Fair Lakes Apartments has a Walk Score of 40 out of 100. This location is a Car-Dependent neighborhood so most errands require a car. 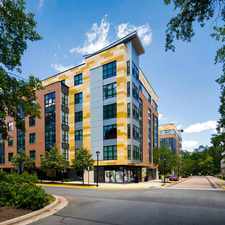 The Windsor at Fair Lakes is a premier apartment community that is located in the heart of Fairfax, Virginia. Our community offers residents a plethora of luxury amenities along with a great selection of one, two and three bedroom apartment homes. These spacious Fairfax, VA apartments come with upscale features and finishes that include energy-efficient premium GE appliance packages, custom cabinetry, washer and dryer units, fireplaces, private patios and spacious closets. Amongst our well-landscaped grounds, residents are treated to outdoor BBQ grills, walking trails, extra storage spaces and basketball and sand volleyball courts. We also have a sparkling swimming pool, community clubhouse and fully-equipped fitness center. The Windsor at Fair Lakes is centrally located near a number of great shopping and dining establishments within the city. In terms of shopping, we are located just a two-minute drive from Fair Lakes Center, which contains a Whole Foods and Fair Oaks Shopping Center. We are also located near excellent dining options that include Joe's Crab Shack, Blue Iguana and Panera Bread. Harris Teeter and Fairfax Regal Cinemas are also located less than a mile away. Our community is an easy commute to nearby Washington, DC. Residents can also take advantage of our free private shuttle service to the Vienna Fairfax-GMU Orange Line Metro Station. Call or stop into The Windsor at Fair Lakes today! Explore how far you can travel by car, bus, bike and foot from The Windsor at Fair Lakes Apartments. The Windsor at Fair Lakes Apartments has some transit which means a few nearby public transportation options. Car sharing is available from RelayRides. The Windsor at Fair Lakes Apartments is in the city of Fair Oaks, VA. Fair Oaks has an average Walk Score of 45 and has 30,223 residents.